Fifteen disparate personal essays running from wisecracking self-deprecation to a misplaced, though welcome, earnestness from yet another young, sardonic NPR graduate. Rakoff may wish to steal the mantle from fellow ironist David Sedaris but in his intermittent humor barely manages to surpass Sarah Vowell, both of whom pop up in uncredited cameos here. His studied, fish-out-of-water neurosis emerges early in the collection with “In New England Everyone Calls You Dave,” as he’s forced (on assignment, natch) to leave his Manhattan apartment and accompany a couple of salt-of-the-earth types up a mountain. The author’s newfound bumpkin buddies are heroically patient with him as he ponders how to survive the experience with only one Xanax. On a kibbutz (“Rise, Ye Wretched of the Earth”), Rakoff moans that “the sun is just always shining” and finds that he’s unsuited to outside work. In “Christmas Freud,” he secures himself a spot as the lone live-action figure in a Christmas department-store-window pastiche as what one would imagine is the ultimate for Rakoff: excruciatingly self-conscious and the center of attention all at once. And those are the funny pieces. In “I’ll Take the Low Road,” Rakoff goes to deepest, mythic Scotland, where he makes the shocking discovery that the culture war between Loch Ness believers and Loch Ness infidels is, well, nonexistent. Even less a story is “Hidden People,” a meandering, dull investigation of the storied elfin people of Iceland. Only when he insinuates himself into other people’s lives and fades from focus do Rakoff’s observations take on some measure of poignancy. The finest entry here—“We Call It Australia”—follows a group of Austrian teaching recruits into the New York City school system and manages to lampoon Americans and poke holes in American stereotypes at the same time. 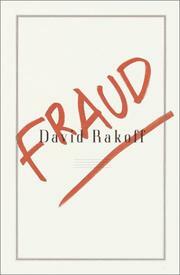 Rakoff has a charming point of view and a sure-footed voice, so long as he’s not kvetching and kvelling. But mostly he is. Cloying, overlong diversions best suited for 15 minutes of public radio. Nothing more.